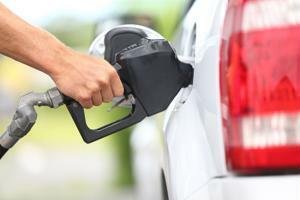 The end of 2014 and the beginning of 2015 saw some of the lowest gas prices that the United States and the rest of the world had seen in about 6 years. People could barely believe their eyes when they realized that gas had finally fallen below $1.99 per gallon. While this was amazing for consumers - with some even going as far to take a picture of the price for their social media accounts - suppliers and those in the oil and gas sectors were seeing red. How are these low prices going to affect the supply chain? During the colder months, homeowners usually dread their gas bill. This winter, however, was a different story. This past winter season, we saw oil drop to the lowest price in six years, thanks to a full supply and a renewed strength in the American dollar, according to IndustryWeek. There was an urgent call to sell the oil that's been stored in American reserves, as they were very close to capacity, noted the source. The International Energy Agency laid on the pressure to make sure the oversupply in storage didn't fill up entirely. Why the sudden surplus? The U.S. has been producing more of its own oil, as opposed to having it imported from the Middle East and other suppliers. More supply plus the same demand equals purchasing power for consumers. Now, our hard-earned dollars aren't being depleted at the gas pump. However, our gain is directly linked to the industry's struggle. So now we're seeing an issue with companies that are part of the supply chain. Insider Media asserted that various projects are either delayed or canceled because the funds just aren't reaching those lower down the chain. Companies that profit from or help manage the exploration side aren't being utilized because there just aren't any trips out into the untapped world to search for crude oil. The enterprise as a whole is suffering because there is too much oil that isn't being sold, a fascinating issue but very prevalent nonetheless. The last time we saw these kind of prices, it was 2009 and we were just beginning to see how damaging the Great Recession really was. Now, the economy is looking up and gas prices are leveling out, but the volatility is still present. How will this affect the oil and gas supply chain in the future? No one can say for sure, but in the mean time, let's make sure our reserves aren't about to overflow before this issue happens again.